Favorite Cure: Shiny Luminous, Cure Echo, Cure Felice, Cure Whip, Cure Custard, and Cure Parfait, and several others! I love Precure! We all know the story of the Silver Millennium and the Moon Kingdom. How it was devastated by an attack by the kingdom of Earth and fell. We also know how the Solar System Sailor Guardians were resurrected. However, what if that was only part of the story? It all started many years ago in an era known as the Silver Millennium. There were three kingdoms that worked closely together to protect the Galaxy. The Earth Kingdom, the Moon Kingdom, and the Solar Kingdom. Each kingdom had their own set of guardians. However since it was impossible to live on the sun, a Space Station was built in between the sun and Mercury. It was known as the Solaris Space Colony. Being close to the sun, you think the people would fry, but that was not the case, the Solaris Space Colony was climate controlled. It's climate matched Earth's perfectly as well as the kingdoms of all the planets at that time. When the Earth Kingdom attacked, Queen Serenity and her Moon Guard fought well, but it wasn't enough. The group had to call on a bit of back up, the Solar Guard. Also known as the Galactic Guardians. Also Prince Endymion was not the only royalty on earth, a young lady by the name of Princess Kasumi of Atlantis was also royalty. When the Earth Kingdom Attacked the Moon Kingdom the group needed some back up, so her older sister Queen Solaria of the Solar Kingdom offered the help of her daughter and her guardians. Queen Serenity accepted the help of the Solar Kingdom. The Galactic Guardians were called to action. Unfortunately, in the end even the help of the Galactic Guardians weren't enough to ward off the attack. The Moon Kingdom fell and so did the Silver Millennium. Queen Serenity was so thankful for the help that her sister Queen Solaria offered that she agreed to send the Galactic Guardians forward as well. Queen Solaria accepted, but had a condition. What was this condition? It was that the Galactic Guardians were sent to another dimension so they could have normal lives apart from the normal lives of the Solar System Sailor Guardians. Queen Serenity agreed and with the help of Queen Solaria of the Solar Kingdom, sent the Galactic Guardians and their advisers to the Pokemon World, while sending the Solar System Sailor Guardians to the Earth of the Sailor Moon Dimension. Unfortunately, about 5,000 years before the Galactic Guardians awakened, the borders between the Pokemon Earth Dimension and Sailor Moon Earth dimension broke down, thus causing the dimensions to unite as one. The means to separate the dimensions have been lost to the tides of time ever since. Two years before Galactic Guardians: Dark Kingdom Returns, all the Galactic Guardians were awakened for future threats. All of the Galactic Guardians have had their powers for two years. The Solaris Court, The Galactic Enforcers and Misty are at the Crystal Level(Super). while Ash/Ashley is at the Eternal Level and is also known as Princess Solaria of the Solar Kingdom based on the Solaris Space Colony. Here is my first Character: AshK1980 is my User Name. ALTERNATE NAME, NICKNAME OR HUMAN NAME (Optional): Ashton Satoshi Ketchum-Hisakino/Ashley Satoko Ketchum-Hisakino(Full Civilian Name), Called Ashe by her friends. OCCUPATION: Pokemon Trainer and Sailor Senshi. ENEMIES (Optional): Team Rocket, Team Aqua, Team Magma, Team Galactic, Team Plasma, Team Flare, as well as the enemies of the Senshi. form she has a Sun on her forehead not the symbol of the sun, but an actual sun. As Princess Solaria her outfit consists of: a tiara on her forehead with a sun engraved in the center. Around her neck is a golden locket with the symbol of the Sun on it. She is wearing a purple with gold trim flowing gown in this form as well. Her golden wings are even more angel like as her face also gains an angelic appearance. In the middle of her forehead above her tiara was a sun, not the symbol of the sun, but an actual sun. Her hair is free-flowing just like it is in her Sailor Guardian form. HAIR LENGTH (Optional): Waist-Length, usually strung through the back of her Kalos baseball cap in a single Pony Tail. COSTUME(Female Form): Red and white Baseball Cap with a Pokeball symbol on the front of it, blue jacket with white stripes bordering it over a black blouse with a matching blue skirt outlined in white stripes that goes down to her knees. On her feet is a pair of blue tube socks that go up over her knees, and a pair of black and red sneakers. access them in Civilian form. LIST PHYSICAL ATTACKS AND EFFECTS: Martial Arts Attacks as in karate and Judo. B: Solar Sunspot- Even More Powerful than Level 3A Attack takes out a ton of monsters at once! Level 4A: Solar Storm- A storm of Solar Flares,Sunspots, Rays that can take out several monsters at once. Even more powerful than Scepter 4 attack. B: Eternal Solar Storm- Basically all of the attacks fromLevel 1 through 4A Combined. Takes a ton of energy for her to use. Scepter 5: Solar Flare Sunspot Storm (Can't use this very much because it weakens her seriously). LIST MISCELLANEOUS ATTACKS AND EFFECTS: None at the moment. May update later. easily be trusted and relaxed. NAME OF ANIMAL/CREATURE FRIEND: Pikachu with a Crescent Moon on his forehead. ATTITUDE TOWARDS OTHERS: Very outgoing and loves to be petted. that comes from all around his body. When Ash Ketchum was a little boy, he was enrolled in Professor Oak's Pokémon Summer Camp where he would learn about the basics of Pokémon and being a trainer once he gets older. One day, a young girl named Serena, who was also enrolled, got lost in a forest while trying to look for her group and injured her knee after a Poliwag startled her. But at the very same moment, Ash, who was looking for the Poliwag, arrived and found her. He wrapped a clean, blue handkerchief with a PokeBall on each corner around her wounded knee to brace it. But she couldn't get herself up due to the pain, so Ash lent her his hand and helped her stand up, guiding her out of the forest and taking her back to the campsite. Years later after attending Pokémon Summer Camp, Ash started his Pokémon journey when he had just turned ten years old. However, he overslept and when he got to the Professor's Lab, there were no more Starter Pokémon left. The Professor had one Pokémon left, but he said the Pokémon wasn't very friendly and released Pikachu. Pikachu disliked Ash straight away and shocked him with its Thundershock attack. (This marks the start of his journey with Pikachu.) Later, Pikachu starts to trust Ash. Upon challenging various Gyms, Ash started finding traveling companions such as Brock and Misty. On his journey he regularly encountered the wacky trio Jessie, James and Meowth of Team Rocket, who kept trying to (and still try to) steal Pikachu. He finished in the Top 16 in the Indigo League Competition. During his journey he participated in a Pokémon race, was involved in a movie, got sucked into cyberspace and helped with the Moltres flame. Before heading to the Orange Islands, he picked up the GS Ball from Professor Ivy and bade goodbye to Brock who'd decided to stay with her. During this time, Ash was sent to the Orange Islands by Professor Oak on an errand to retrieve the mysterious GS Ball as the transporter cannot send it to Oak's lab. Ash found out that there were Gyms in the Orange Islands and decided to challenge them, winning a trophy for beating the Gym Leaders. During his time in the Orange Islands, Ash gained a new travelling companion in Tracey Sketchit, a "Pokemon Watcher", who observes Pokemon in their natural habitats and draws them in his sketchbook, and caught new Pokémon, Snorlax and Lapras, as well. He battled the Orange Crew in a style of battling much different than what he was used to. Eventually he battled Drake and became the next Orange League Champion. Upon Ash's return to his lab with the GS Ball, Professor Oak couldn't open it either and asked Ash to deliver it to his associate Kurt in Azalea Town in the Johto region, where there are also Gyms for the Johto League. Brock returned and Tracey remained behind to help Professor Oak at his lab. Team Rocket tried to catch Pikachu again, but they were stopped by Gary. Ash heard that there was a region called Johto and traveled there to find and catch new Pokémon unseen in Kanto. He battled the Gym Leaders there and caught the three Starter Pokémon, just as he'd done in Kanto. Brock returned and left Professor Ivy (for unknown reasons) and Tracey remained at Professor Oak's Lab. During this season, Ash won two badges for the Johto League, by facing Falkner of the Violet Gym and Bugsy of the Azalea Town Gym. He also catches a Shiny Noctowl, had another battle with Misty and said goodbye to his Charizard as he left it at the Charicific Valley so it could become stronger. Ash won three more badges, but was delayed from having his sixth Gym Battle as the Gym Leader was preoccupied with caring for an ill Electric Pokemon, Ampharos, that fueled the lighthouse's power. Determined to get his Gym Battle, Ash traveled over to Cianwood City to get the medicine needed for Ampharos. Along the way he meets Whitney, Morty, Jasmine and Chuck, along with some new friends like Sakura, an aspiring Trainer and one of the 5 Kimono Sisters and reunites with Casey, whose Chikorita evolved into Bayleef. After his Gym Battle with Chuck, Ash and his mates traveled to the Whirl Islands on Chuck's suggestion to take part in the Whirl Cup Competition, a tournament for Water-type Pokémon. During this season, Ash finally collected the remaining three badges to enter the Johto League by beating Jasmine, Pryce and Clair. He also met Lance and stopped Team Rocket's latest scheme at the Lake of Rage and brought a Larvitar back to its mother. In the Johto League, he battled his old rival Gary and finally defeated him, bringing their long rivalry to an end, then fought Harrison from the Hoenn region, who had a Blaziken, a Fire-Type Pokemon Ash had never seen before. To face it, Ash chose his trusty Charizard: the two Fire-Types fought fiercely, but ultimately Charizard fainted and Ash lost. (However, Charizard managed to wound Blaziken badly enough to prevent Harrison from using it in his next match, which led to his defeat.) Ash then decided to travel to the Hoenn region, but sadly both of his friends had to return home and thus would not be traveling with him this time. Starting a new journey, Ash received new clothes from his mom, trading his familiar button-up shirt for a sleeveless hoodie, his green gloves for black ones and got a new cap. Breaking with what he'd done previously when he left for Johto, Ash left the rest of his team with Professor Oak and Tracey, intent on capturing new Pokemon in Hoenn, taking only Pikachu, his Starter, with him from home - the idea being to recapture the feeling of first leaving Pallet Town as a new Trainer. Upon arrival, he gained two new traveling companions in May, a beginner Trainer starting out on her journey with no clue what to do, and her younger brother Max, who has an extensive, impressive knowledge of Pokémon that far exceeds his years. Brock also returned, having finished his errands at home. Ash won his first three badges by the end of the season: the Stone Badge from Roxanne of the Rustboro Gym, the Knuckle Badge from a rematch with Brawly from the Dewford Gym, and the Dynamo Badge from Wattson of the Mauville Gym. Ash was eager to challenge more Gyms but was held up by May as she decided to be a Pokémon Coordinator. Ash encountered both Team Magma and Team Aqua, two villainous crime syndicates occupying the Hoenn region for the first time. Ash also won the Heat Badge from Flannery, the Balance Badge from Norman, May and Max's father, and a Feather Badge from Winona. Before winning his last few badges, Ash was caught in a clash between Teams Magma and Aqua as they unleashed the legendary Pokémon Groudon and Kyogre to reshape the world. Due to Pikachu's connection with Groudon, both teams were stopped and the legendary Pokémon returned to rest. After that, Ash beat the twin Gym Leaders Tate and Liza for the Mind Badge and Grand Festival winner Juan for the Rain Badge. Prior to entering the Hoenn League, Ash declined an offer from Professor Oak to trade in his current Pokémon with his previous captures on the grounds that his new team had earned it for themselves. He gained two new rivals in Morrison and Tyson, the former he would beat, but the latter he would lose to. He placed among the Top 8. Returning to Kanto with Brock, May and Max, Ash was invited to partake in the Battle Frontier, battling Frontier Brains for Frontier Symbols. Upon encountering the first Frontier Brain, Factory Head Noland and his Articuno, Ash left his friends for a quick bit while the Factory Head took Max and Pikachu up in his airplane, telling them "I had to make a phone call." Later that night as the gang was watching Noland's Pokémon eat dinner, they speculated which of Noland's Pokémon Ash would challenge: Max guessed Venusaur, May guessed Rhyhorn, but Ash, aiming high, boldly decided on Articuno. Wondering which of Ash's Pokémon he would use against a Legendary, the gang was excited when they saw his pick; Ash had gone straight to the top and brought in the big guns, calling in Charizard from the Charicific Valley to take on the Ice/Flying-type head-to-head. Despite the Type advantage being set against it, Noland's Articuno demonstrated its ability to quickly recover after taking direct hits from Charizard's Flamethrower and DragonBreath attacks and managed to gain an advantage over the fiery behemoth with an Ice Beam to the wingtip and repeatedly combining its Ice Beam and Water Pulse attacks, the latter move being strong enough to counter Charizard's newest move: Overheat. Ultimately though, Charizard managed to withstand Articuno's Steel Wing attack, and as the Legendary Bird came in for one last strike, it grabbed its wings in midair, stopping the attack before it could connect and topped it off with its signature Seismic Toss, knocking out Articuno for the win and earning Ash the Knowledge Symbol. Ash battled all of the remaining Frontier Brains and earned their Frontier Symbols. The last Frontier Brain however, Pyramid King Brandon, proved to be more difficult for Ash to defeat; Their first official battle saw Brandon's Registeel defeating Ash's Torkoal in spite of a new move it learned. For their rematch, which would be four-on-four, Ash took a "back to your roots" approach, once again calling in Charizard but also this time bringing in Bulbasaur and Squirtle to reunite his trio of Kanto Starters. Putting them together with Pikachu, Ash formed a team of aces from his early days: pitting the four aces against Brandon's Dusclops, Ninjask, Solrock and Regice, he finally claimed victory and the final Frontier Symbol - the Brave Symbol - completing the set and winning the Battle Frontier. After his victory, Scott offered Ash the position of Frontier Brain when one of them retired but he declined, opting instead to continue his journey. Before saying goodbye to May, Ash competed against her in the Terratta Pokemon Contest, their match ending in a tie. There was only one ribbon and they couldn't decide who to give it to. Ash had his Sceptile use Leaf Blade to cut the ribbon in half, choosing to split it with May before they all parted ways. Returning home, Ash met up with Gary again and saw the latter's new Electivire. Gary informed Ash about the region of Sinnoh, to which he immediately decided to travel next on his journey. Departing for Sinnoh, Ash once again left his previous captures at Professor Oak's laboratory, with the exception of his Aipom who'd snuck along. After arriving in Sinnoh by boat and reuniting with Brock, he gained yet another new traveling companion in Dawn, a confident girl interested in following in her mother's footsteps as a Pokemon Coordinator. After receiving new clothes from his mother in the mail, Ash gained a new rival in a Trainer named Paul. Later in the season, Ash misses meeting Team Galactic due to moving on with his journey too soon. He won his first two Sinnoh Gym Badges: a Coal Badge from Roark and a Forest Badge from Gardenia. Ash encountered Pokemon Hunter J, who temporarily kidnapped Pikachu by turning it into stone. Ash's first Sinnoh capture was a Starly which evolved into Staravia, and a Turtwig. His final Sinnoh acquisition came when he adopted Paul's Chimchar by the end of the season. In this season, Ash continued battling and earning badges while Dawn continued to earn contest ribbons. They also encountered Team Galactic and tried to stop them from stealing the Adamant Orb. During this time, Ash earns his fifth Gym Badge. For most of the season, Ash had to wait for Gym Leader Fantina to return to her Gym in order to challenge her. Ash reunited with May during the Wallace Cup and took part as a coordinator once again (per Wallace's request). Late one night with Pikachu, he saw the spirit of Azelf rise out of the lake the contest was being held at. He tied with Maylene but earned a Cobble Badge from her and defeated both Crasher Wake and Fantina for the Fen and Relic Badges. He also acquired a new rival in Barry, a somewhat clumsy boy who insists on fining people. Ash acquired a few more Pokemon during this season; at the suggestion of Zoey, he traded his Aipom for Dawn's Buizel, the only trade so far he hasn't reversed; his Turtwig evolved into Grotle; and he caught a Gligar which became a Gliscor. Continuing his journey in Sinnoh, Ash managed to beat Byron, winning the Mine Badge and Candice, winning the Icicle Badge. Along the trip to Sunyshore City, Ash and his friends encounter International Policeman Looker and were recruited to help stop the plans of Team Galactic as the three of them were chosen to share a bond with the three Lake Spirit Pokémon, during which Brock managed to find Uxie. Managing to find Team Galactic in the middle of creating a new universe with the captive Lake Trio controlling Palkia and Dialga, Ash, Dawn and Brock freed the trio and Team Galactic was arrested while their leader vanished into the collapsing new world, effectively disbanding Team Galactic. At the end of the season, Ash caught himself a Gible which was learning Draco Meteor. After the Team Galactic incident, Ash entered the Sinnoh League after beating Volkner and earning the Beacon Badge. He also reunited with Jasmine from the Olivine Gym before heading to Lily-of-the-Valley. Taking a different approach in this League than he did in Hoenn, Ash combined his previous captures with his current Pokemon to form well-balanced teams of new and old. The Sinnoh League was one of the hardest and most intense Leagues he ever competed in, as he had rivals Paul and Barry to compete with, and a mysterious trainer who joined with the Legendary Pokémon Darkrai. He battled against most of his rivals save for Barry, who battled Paul and lost, so Ash's next match was against Paul. The battle was intense as Paul showed Pokémon that he didn't normally use while Ash had reassembled his team of six from their earlier battle at Lake Valor. The fight came down to Paul's Electivire and Ash's Infernape. Despite taking heavy damage, Infernape won the match for Ash with its ability, Blaze. After defeating Paul, Ash faced an opponent other Trainers in the League dreaded to face as he was hard to defeat: the Trainer with the Darkrai: Tobias. After losing a couple of Pokemon to it, Ash was able to defeat Tobias' Darkrai with Sceptile and even knocked out Tobias' Latios with Pikachu. However, as the rest of Ash's Pokémon had fainted, he was eliminated. To this day, the Sinnoh League remains Ash's most impressive performance in a Pokemon League Tournament: he reached the Top 4 - the farthest he'd ever gotten in any Pokemon League - and was the only one of Tobias' opponents to defeat two of his Pokemon, let alone his Darkrai. After the Sinnoh League, Ash bade farewell to Dawn as she wished to continue entering contests, and also parted ways with Brock, his oldest friend and longest-running traveling companion for the final time, as Brock now wished to become a Pokémon Doctor. At home in Pallet Town, Ash received new clothes and was invited along with his mother by Professor Oak to take a trip to the far away Unova region for a scientific expedition. Upon arrival, a more formidable Team Rocket - no longer fooling around and acting in a more serious capacity - once again tried to capture Pikachu. This was prevented by the timely intervention of Zekrom, one of Unova's two Legendary Pokemon. Zekrom caused a storm that scared away Team Rocket and temporarily knocked Pikachu out. Ash encountered a new rival named Trip, an insolent boy with an intolerant attitude towards Trainers from Kanto. Ash battled Trip, but lost as Pikachu's Electric attacks had been temporarily disabled from the encounter with Zekrom. Ash later decided to go out on a new quest to win the Unova League. After leaving on his new journey, Ash gained new traveling companions in Iris, an up-and-coming Dragon Master with keen eyesight, and Cilan, one of the three optional Gym Leaders of the Striaton City Gym who utilized Grass-Type Pokemon and also a Pokemon Connoisseur. Ash continued his inadvertent tradition of catching all three Starter Pokemon of a region, something not done since Johto: He adopted an Oshawott that had snuck away from Professor Juniper's lab and an abandoned Tepig whose Trainer no longer wanted it. Last but not least, Ash caught a very strong Snivy which acts like the mother of his team. Ash won the Trio Badge, Basic Badge and Insect Badge. As the season continued, he acquired a mysterious egg which later hatched into his Scraggy. Continuing on his journey through Unova with Iris and Cilan, after they stopped Team Rocket from stealing Pokémon from the Nimbasa Pokémon Center, Ash and co. met up with Bianca and encountered both the Gym Leader Elesa and Bianca's father. After he allowed both his daughter and Ash to continue their respective journeys, Ash battled Elesa and won the Bolt Badge. Then he had the honor of meeting Alder, the Unova League Champion. He also saved Unova from being torn apart by Tornadus and Thundurus by summoning Landorus. Following this, Ash had a Gym Battle with Clay after getting him some Revival Herbs. During the battle Ash's Roggenrola evolved into a Boldore; using its ability, Sturdy, Ash defeated Clay, earning him the Quake Badge. After that he helped Bianca with her newly evolved Escavailer and met Cedric Juniper. He managed to catch the Krokorok that followed him, adding it to his team. Finally, he had a Gym battle with Skyla, duuring which his Tranquill evolved into Unfezant and managed to beat her, winning the Jet Badge. He participated in a race to the top of Celestial Tower and came in a close second losing to Stephan, as well as the Donamite tournament and ranked Semi-finalist. He also confronted Tepig's original trainer, Shamus, during which Tepig evolved into Pignite. He also had to endure a harsh training session from Brycen, which paid off as he won the Freeze Badge. His plans to go to Opelucid City were on hold as he found out the Gym was closed and had to go to Virbank City instead, where he battled Roxie and won his final badge, the Toxic Badge. He also met and befriended a Meloetta and reunited with his old friend Dawn from his time in Sinnoh and stopped Team Rocket's latest plot involving Meloetta. Along the way he met Cameron who faced off against Marlon, the Humilau City Gym Leader. Ash finally arrived at and competed in the Unova League, placing in the Top 8 as he'd done before. He made a new friend, N and learned about Team Plasma and another Legendary Pokémon, Reshiram. With N's help, Ash was able to stop Team Plasma. With his adventures in Unova behind him, it was time for him to head home again: fortunately for Ash, Professor Juniper scored him boarding tickets to the Queen Decolore which traversed through the Decolore Islands. Along the way he met Alexa, a reporter from the Kalos region and briefly reunited with Clair from the Blackthorn Gym to help find a Shiny Druddigon. After arriving in Vermillion City, he parted ways with Iris and Cilan as the two were headed to Johto, and returned home to Pallet Town once again with Alexa. Ash traveled to the Kalos region to compete in the Kalos League and to continue his dream of becoming a Pokémon Master. He gained new traveling companions in the siblings Clemont and Bonnie and later reunited with his childhood friend Serena, who still remembered Ash rescuing her a long time ago and would travel with him as well. Despite being childhood friends with Serena, he had no memory of their relationship until Serena showed him the handkerchief he used to mend her knee when they were little kids in the episode, Giving Chase at the Rhyhorn Race!. Ash also caught three new Pokemon: his first Kalos capture was a Froakie followed by a Fletchling then a Hawlucha. Within the first five episodes of the season, Ash faced Alexa's sister Viola, the Gym Leader of Santalune City who specialized in Bug-type Pokemon. During their battle, Ash faced difficulty against Viola's Surskit, who gained an advantage over Pikachu by freezing the arena, turning it into an ice field. Ash decided that what needed improving was his Pokemon's balance, and with Alexa's help, engaged in special training designed to combat this flaw. Clemont also tried to help using one of his latest devices, but the machine backfired and exploded. In a rematch, Ash ultimately defeated Viola and claimed the Bug Badge, his first badge from a Kalos Gym. Much later, Ash battled against the Cyllage City Gym Leader Grant and his Rock-Type Pokemon. Having seen Grant defeat Viola at the Battle Chateau, Ash sought a way to defeat Grant's Rock Tomb. When he faced Grant, this ended up becoming Rock Tomb Climb, the use of which earned Ash his second Kalos Badge, the Cliff Badge. Some time later, Ash battle Moria, a Sky Trainer who specializes Sky Battles, and her Talonflame. During the battle his Fletchling evolved into a Fletchinder and won. At the Pokémon Summer Camp, Ash and his friends met Shauna, Trevor, and Tierno. He later had a first-touch-battle against Tierno's Squirtle with Froakie and lost. After spending a good time at the Pokémon Summer Camp, Ash went to Shalour City and battled Korrina, a Gym Leader who previously traveled with Ash and his friends in order to help her understand Mega Evolution with her Lucario. Despite a failed attempt of using Tierno's dancing strategy, Ash managed to win his third Kalos Badge, the Rumble Badge. As time went on, Ash/Ashley competed for more badges and eventually won all of them, he/she still hasn't won an official league, but this time he won the Kalos League(Open to be edited at a later time). Kasumi Yawa from Cerulean City once again after about 5 years of being apart. Sinnoh. That is how the Galactic Guardian Senshi were called into action. 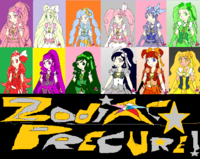 For two years, he/she along with the other Galactic Guardians have had their Sailor Guardian Powers. Misty/Sailor Terra, Solaris Court, and Galactic Enforcers have upgraded through their Crystal forms(Super), while Ash/Ashley/Sailor Solaris/Princess Solaria has upgraded through her Eternal Form. GOALS/MISSION: To be a Pokemon Master/Mistress to stop evil wherever it may be. ALTERNATE NAME, NICKNAME OR HUMAN NAME (Optional): Misty Kasumi Waterflower(Full Civilian Name), Ashley calls her Mist. ALLIES (Optional): Ashley/Eternal Sailor Solaris, Duplica/Sailor Triton, Drew/Darcy/Sailor Rhea, Casey/Sailor Ganymede, May/Sailor Io, and the other heroes and Sailor Guardians fighting evil. ENEMIES (Optional): Teams Rocket, Magma, Aqua, Galactic, Plasma, Flare, whatever enemy the other heroes are fighting. WEAPONS/ITEMS: Nunti Spear and standard Crystal Transformation Wand. JEWELLERY (Optional): Explained in the costume description. Level 1: Sand Spiral- a spiral of sand that causes massive damage to opponents and makes it extremely hard for opponents to see. Level 2: Sandstorm- a massive storm of sand that causes damage each time it hits an opponent. Level 3A: Earthquake- Terra slams her hands together creating a shock wave in the ground toppling enemies over with just one shot. B: Giga Impact- Terra slams her hands together sending out an energy beam toward an enemy causing massive damage. Can't attack right away after using this technique. LIST PHYSICAL WEAKNESSES: Gets winded easily and can't always keep up with her comrades if they are running way too fast. LIST MAGICAL WEAKNESSES: Grass, Water, Ice and Impact Based Magical Attacks(i.e. Sailor Triton's magical attacks can cause massive damage to her. ATTITUDE TOWARDS OTHERS: Misty can be sweet and optimistic at times, but she is best known for how easily she can be angered or frustrated and how loud and violent she can become in response. She is very extreme in most of her moods, and can switch between them quickly but as time went on Misty mellowed. She is also picky and sensitive about love. LIKES (Optional): Cute Pokemon, Water Pokemon, anything to do with looking pretty and stylish. DREAMS/WISH (Optional): To be the world's best Water Pokemon Trainer and the World's Best Water Gym Leader. PHYSICAL DESCRIPTION: Description is in the first part of this section. STORY BEHIND ANIMAL/CREATURE FRIEND: Given to her by Tracy Sketchit as a Pokemon egg, it hatched into an Azurill, evolved into Marril and eventually evolved into Azumarril. LIST MAGICAL ATTACKS AND EFFECTS: Lunar Rainstorm Attack- When combined with Pikachu/Orion's Lunar Thunderstorm Attack a Massive storm brews causing massive damage to any and all enemies the attack comes in contact with. PAST HISTORY: Originally joined Ash/Ashley/Eternal Sailor Solaris on his her Pokemon Journey because Pikachu fried her bike, but as time went on she nearly completely forgot about the whole bike situation until a friend of hers Brock, the Gym Leader, Breeder, Pokemon Doctor in training, from Pewter City. GOALS/MISSION: To be the world's greatest Water Pokemon Trainer as well as the world's Greatest Water Gym Leader. HAIR LENGTH (Optional): mid-back length. Level 3A: Frenzy Plant- slams hands together causing vines to surround and crush the enemy. ATTITUDE TOWARDS OTHERS: Comes across as Arrogant at times, but always comes through to help her friends anytime they need her to. PAST HISTORY: Was born male and was very arrogant, especially when encountering May/Sailor Io for the first time. He mellowed out as time went on, but still remains a Rival to May/Sailor Io as far as Pokemon Coordinating goes. One day he was on his way back home to LaRousse City from a disappointing loss in a Pokemon Contest in Cerulean City to Misty/Sailor Terra's sisters of all people. He somehow wound up at the Cursed Training Grounds of Jusenkyo, before he could encounter the guard to ask for directions he slipped and fell into Nyannichuan, just like Ash/Ashley/Eternal Sailor Solaris did. One night he had a strange dream involving a long dead kingdom called the Silver Millennium where he/she among several other familiar faces worked in conjunction with the original Sailor Guardians of this world to protect the Galaxy. Unfortunately, the Silver Millennium and Moon Kingdom fell. However the Solar Kingdom remained thriving even when the Solaris Court was sent forward to be resurrected later if times called for it. Eventually they were, but they were resurrected in the Pokemon World when old threats were brought back to life. "Where am I. Why am I in my cursed form?" Darcy asked to no one imparticular. "I can answer that for you Princess Darcy." A beautiful woman with a beautiful voice said. She was wearing Dusty Rose Kimono. It looked quite formal. Her hair was the length of Darcy's and a Strawberry Blonde Color. "My name isn't Darcy! I am a guy from LaRousse City, Hoenn! My name is Drew!" Darcy said. "Very well Drew if that's what you call yourself in this time. My name is Rhea. I am the Goddess of Saturn's second largest moon. I need your help to be my Avatar. Your world is in danger. You must accept my offer or your world will perish." Rhea said. "What do you need me for?" Darcy asked. All of a sudden a full-length mirror materialized in front of her. The girl in the mirror looked just like her(duh it's a mirror). The only difference was that she was wearing a White Princess-Type Dress and surrounded by other girls that were dressed similarly. The image then shifted to that of a girl with the standard Senshi Seifuku that has a Dusty-Rose Skirt and Collar, Elbow length gloves with Dusty-Rose Piping on the top of the gloves. She also had High-Healed Shoes that were also Dusty Rose. A bow was on her chest that was Dusty-Green. She also had Mid-Back Length Hair. Darcy turned sideways and noticed that at the small of the girls back was a ribbon of the same color. Darcy then turned to face the mirror and noticed a golden Tiara on the girls forehead with a Dusty-Rose Gem in the center. Around the girls neck was a Dusty-Rose Choker. Lipstick of rose was on the girls lips, her eyes had rose eyeshadow on her eyelids. Also Dusty-Rose colored earrings adorned the girls ears. She was very beautiful. Darcy then felt like she was wearing something strange. She looked down and all but panicked. She was wearing the same thing as the girl in the mirror. Her hair was also Mid-Back Length. "Lady Rhea welcome back." Rhea said. "What no way! I'm not wearing this stuff. I'm a guy not a girl!" Darcy screamed. "Not at the moment you aren't. In your past life you were a Rhean Princess. Your job was to protect Sailor Saturn along with your friend from Titan. You also had a duty to Princess Serenity. Your name was Princess Darcy. You were quite close to Princess May of Io." Rhea said. "Princess May? You mean that the May that I know in this time and have become fairly close with was a Senshi thousands of years ago?" Darcy said then asked. "Yes Drew. You may morph into a complete girl sometime later. That is unless, you learn to control your Jusenkyo Curse by will instead of by water. Just like the Senshi of Solaris. I believe you already know about Solaris. Your friend Ash fell into the same spring you fell into about 5 or 6 months ago. Do you Drew/Darcy of LaRousse City accept the offer of being my Avatar? Keep in mind if you refuse your world is doomed. Team Aqua and Team Magma have joined forces with Team Rocket and with the resurrected villains and villainesses that the original Senshi banished. If you decline my offer your world is doomed. " Rhea said. "Okay I accept. How do I turn back?" Drew/Darcy asked. "Oh that's the simple part just will yourself back." Rhea said. Darcy did so. However she was still a she, and her hair was still mid-back length. Rhea then materialized a Tea Kettle out of nowhere and poured it over Dary returning to his birth form and his hair returned to normal length now. "Sailor Saturn has a Henshin Rod for you.. She will appear shortly. Go back to your world. Keep an eye out for Saturn." Rhea said. "You also had a twin sister in the Silver Millennium. Her name was Deanna. She died of a terrible disease. You and her were both Reincarnated, however her body was still born. In the Silver Millennium you and Deanna were known as the Rhea Duo. What I mean by that is this: You both share the Powers of Rhea. You will meet Deanna in a later dream. She may also take you over. Welcome back Lady Darcy A.K.A. Sailor Rhea." Rhea said as Drew was sent back to his world. Eventually Drew/Darcy went through several power ups and gained his/her Crystal Henshin Wand. He even eventually learned to control his curse by will, but due to the circumstances in this world with Sailor Guardians only being female, he remains in his female form just like Ash/Ashley remains in his female form. GOALS/MISSION: To be a Top Pokemon Coordinator. OCCUPATION: Pokémon Trainer and Sailor Senshi. Level 1: Mimic- Triton can only mimic The Galactic Guardians' and Lucy/Sailor Aquarius' Attacks. Occasionally she can mimic other attacks from other Sailor Guardians as well, but not without her mana being significantly drained. Level 2: Rain Storm- Triton holds her arms above her head in a crossed fashion summoning a Deluge of rain. She then directs the attack toward her enemies. One attack can take out several enemies at once). Level 3A: Origin Pulse- Triton jumps into the air and multiple blue orbs appear all around her. She then fires a beam of blue energy from each orb at the opponent. B: Tidal Wave- Triton Jumps up into the air and spins around with her arms crossed in front of her in a fashion similar to Jupiter when she is doing her Supreme Thunder Attack. The water collects around her entire body as she slams her hands palm down into the ground, the wave then aims directly for the enemy or enemies. Level 4: Water Spout- Triton props herself up on her tip toes and pirouettes rapidly causing a blue aura of water to surround her. Once the Blue aura of water completely engulfs her she jumps up into the air while still pirouetting right out the the top of the water tornado and lands behind it, with one push with both of her hands, she sends it at any unsuspecting enemy that gets in the way of the attack. (What if scenario, I still need to think of Level 4 Attacks for the rest of the Galactic Guardians. In other words, this attack is currently not in use). New Phrase: Triton Crystal Power Make Up! As well as the ability to Mimic and execute any attack she sees. at the moment. May update later. STORY BEHIND ANIMAL/CREATURE FRIEND: A friends Pokémon friend that loves her company. PAST HISTORY: A Pokémon Trainer that came into that is also a friend of Sayomi. GOALS/MISSION: To be a Ditto Pokémon Master/Mistress to stop evil wherever it may be. PLANET/DIMENSION: Sunny Town, Kanto, Pokemon World. This character is currently inactive at the moment. She may be back later on. JEWELLERY (Optional): Tiara, Earrings, heart-shaped broach in middle of bow, Navy choker with gold star accessory on it. COSTUME: Orange halter-top with cleavage exposed, navy blue mini-skirt, aqua ribbon in her hair, aqua tennis shoes. Sometimes she wears the usual female school uniform. WEAPONS/ITEMS/TALISMANS: Super Sailor Senshi Crystal Transformation wand. New Phrase: Ganymede Crystal Power Make Up! LIST PHYSICAL WEAKNESSES: Easily runs out of breath when she is running in her civilian form. HOME PLANET/COUNTRY (Optional): New Bark Town, Johto, Pokemon World. ENEMIES (Optional): Any enemy the group is fighting, as well as Team Rocket. HAIR LENGTH (Optional): Mid-Back to waist length, usually worn down. JEWELLERY (Optional): Green Choker with Gold Star in the center. Golden Tiara on her forehead with a Green Gem in the middle. HAIR LENGTH (Optional): Mid-Back to Waist length, usually worn in two low ponytails. COSTUME: In her Civilian form, may wears her Omega Ruby and Alpha Sapphire outfit now: New Outfit for May in civilian form..
JEWELLERY & ACCESSORIES (Optional): Mega ring around her left wrist that she uses to Mega Evolve her Blaziken as well as Crystal Henshin/Transformation rod with the symbol of Io engraved in the Crystal. ATTITUDE TOWARDS OTHERS: May/Sailor Io is generally a very sweet and optimistic girl. She enjoys feminine and cute things as well as shopping. .
B: Magma Wheel(Mixture of Magma Storm and Flame Wheel. Takes out an even bigger chunk of monsters than Magma Storm Smash) . LIST PHYSICAL WEAKNESSES: Tends to get winded easily. HOME PLANET/COUNTRY (Optional): Petalburg City, Hoenn, Pokemon World. PAST HISTORY: Started her Pokemon Journey at Age 10 and had her bike fried by Pikachu/Orion. Eventually ended up traveling the Hoenn Region and the Kanto Battle Frontier with Ashley, Brock, Max, and Misty for a short time. At first she didn't like Pokemon, but thanks to Ashley taking her to a contest in Hoenn while they were traveling, May loves Pokemon her starter is a Blaziken that can Mega Evolve. She has several other Pokemon at Oak's Lab, at Birch's Lab, and at her home Gym. *Note from ✯Akiko✯Denkou✯ : All these Characters are Crossover Characters. I only own the idea for them being Sailor Senshi, I do not own them myself. The Pokemon Company International, Game Freak, Nintendo, Viz, among several other companies own them. There will be pictures of the other Galactic Guardian Senshi that don't have pictures posted at a later time. I will post the rest of the Pokemon World Sailor Senshi at a later time. As for right now these are all the Senshi of mine I'm going to use. COSTUME: Refer to the following link for her normal outfit. Sometimes she also wears a couple of other outfits as well one being her two Contest Dresses. For full appearance of outfits go to here: Dawn's Appearance in Civilian Form. Level 1: Spark Whip- Titania forms an energy whip made up of Electric energy and Storm energy appears in her hands and she is able to swing it around like a lasso and trap enemies within the loop shocking them into submission sometimes even paralyzing them. Level 2: Spark Tornado- Titania crosses her hands over her head gathering wind and sparks within her palms creating a funnel cloud, once the funnel cloud forms, she throws it activating the electric tornado part that use electric and wind energy to take out several enemies at once. Level 3A: Spark Hurricane- Titania gathers energy from below her feet and above her head creating a massive electric hurricane and tosses toward the enemies. Once the attack hits, the enemies are knocked out. Like her level two attack she can take out multiple enemies at once. B: Thunder Punch Hurricane- Titania gathers thunder and lightning energy along with wind energy in her fists and fires multiple beams of energy in the shape of a fist. She is able to knock twenty enemies out with a double punch. The extent of the Tornado is ten enemies in one shot, while the extent of the Hurricane is fifteen enemies at once. New Phrase: Titania Crystal Power Make Up! ATTITUDE TOWARDS OTHERS: Dawn is notable for her confidence, since she almost always tries to look towards the future rather than dwell on her mistakes. In stark contrast to May's inexperience and self-doubt at the start of the Advanced Generation series, Dawn was overly confident and assured in her own strength at the beginning of her journey. Because of this, she became emotional after she was eliminated from Pokémon Contests, and often cried after losing. After failing to pass the Appeals Round of two contests in a row, Dawn became depressed. In Tanks for the Memories!, Dawn remembered her contest failures and had to excuse herself so she could cry. These behaviors were completely opposite those she had exhibited at the beginning of her journey, something Ash and Brock took notice of. Their encouragement was not enough to renew her psyche though, and it was not until she defeated May to win the Wallace Cup that she truly regained her confidence and focus. After this point, Dawn took on a more positive and determined personality. In addition, she became more mature. Instead of reverting back to her old headstrong and confident attitude, she became more aware of her faults and how she could work to overcome them. In the Japanese version, Dawn' catchphrase is, "Daijōbu!" Although not consistently translated in the English dub at first, she began to regularly use "No need to worry!". A key example of Dawn's growth and maturity occured in Trials and Adulations!. In this episode, Dawn was separated from Ash and Brock and her Mamoswine's leg was badly injured. Instead of panicking or trying to force Mamoswine to continue walking, Dawn thought back to lessons Brock had given her about Pokémon care. She recalled that the sap of a plant could help soothe pain and called upon her Pokémon to search for the it. Dawn applied the sap, wrapped the wound, formed a bed of leaves for Mamoswine, and gathered food and Berries for it to eat. Dawn was ultimately rewarded, and this episode gained her Mamoswine's respect and loyalty. Dawn's actions go deeper than that though, they are evidence of her growth as a Trainer and person. Over the course of her journey in Sinnoh, Dawn was able to come up with various combinations to show up her Pokémon's looks and strength. This began with something as simple as making her Piplup's beak grow longer when using Peck, a technique she used even until the end of the Grand Festival. She later followed with simple spinning, which her Piplup and Buneary first practiced for a while in Oreburgh City. The spinning move was adapted by Ash in his first Gym battle in Sinnoh. Later on, Dawn began experimenting with more complex combinations, such as Flame Ice and Ice Chandelier. After a lot of practice, Dawn's Pokémon were able to master these combinations in battle. Coincidentally, both of these moves were used to defeat Ursula. Originally, Dawn had great concern about her appearance and would not show herself to Ash or Brock until she felt that her appearance was acceptable. In fact, Dawn often slept in a tent while Ash and Brock slept outside. However after Tears for Fears!, Dawn began to sleep outside as well and was less concerned with her appearance in front of Ash and Brock. This may have been an indicator that she had become more focused as a Trainer and Coordinator, paying more attention to her Pokémon and less attention to her looks. Even so, whenever Dawn knew she was going to be on camera, she would pause to brush her hair, such as in Last Call - First Round! when Rhonda wanted to interview her for her broadcast of the Grand Festival. Dawn also has interest in fashion, and in The Bells Are Singing!, Dawn revealed that she was the one to design Buneary's vest, but also admitted that her mother was the one to sew it. In Arriving in Style!, she demonstrated her talent for designing again, sketching many different dresses for the Hearthome Collection, though she rejected almost all of them. DISLIKES (Optional):Plusle, Minun, and being called Dee Dee. DREAMS/WISH (Optional): To be a top Pokemon Coordinator like her mother. NAME OF ANIMAL/CREATURE FRIEND: None besides Orion the Pikachu and Andromeda the Azumarril. Dawn began her Pokémon journey with an overconfident Piplup. She wasn't able to gain his trust at first, but after rescuing him from a group of Ariados, the two became friends. Unlike May, she knew from the beginning that she wanted to follow in her mother's footsteps and be a Coordinator. After meeting Ash and Brock, she decided to journey with them, as their experience would likely be helpful to her. Like Ash, she is lucky enough to have seen a legendary Pokémon at the start of her journey, the projected soul of Mesprit in Following A Maiden's Voyage! Which was Dawn's Debut Appearance in the Anime. When Dawn began her journey she took a bicycle, but like Misty's and May's bikes, Ash's Pikachu destroyed it with his Thunderbolt. However, she did not mention this to Ash until more than thirty episodes after it happened. Dawn also had planned to take a large suitcase full of clothing with her, but her mother made her leave it at home due to its impracticality. Instead, Dawn took a backpack her mother had prepared for her. Johanna also gave Dawn the first Ribbon she earned as a Coordinator as a good luck charm, an item that would recur throughout the series as a symbol of Dawn's determination. Upon arriving in Jubilife City, she registered for a Contest Pass for the Sinnoh region. She also obtained a Ball Capsule and some Seals and introduced her Contest cry, which is "Spotlight!" (English) or "Charm up!" (Japanese). Dawn lost her first Contest in Arrival of a Rival! to Zoey, who became one of her closest friends and greatest rivals after the Contest. After her loss, an upset Dawn called her mother, but Johanna told Dawn not to rely on her and instead rely on friends and Pokémon. Eventually, in Dawn's second official Contest, she was able to narrowly beat her childhood friend Kenny to win her first Ribbon. Dawn regularly trained her Pokémon for Contests and took the opportunity to practice her skills with Zoey whenever the two met, such as in A Stand-Up Sit-Down!. Zoey was always helpful to Dawn during their meetings and helped inspire her to come up with new combinations. However, even with Zoey's help Dawn was not able to perfect Buizel's Ice Aqua Jet despite coming up with the idea. Ash later accomplished Ice Aqua Jet in the Wallace Cup, after Buizel had been traded to him. Despite her confidence and Contest training, in Dawn's Early Night! when she competed in the Hearthome City Contest she lost in the Appeals Round, making her the first main character to be eliminated from a Contest after the first round. In Team Shocker!, she did not pass the Appeals Round for the second time in a row. This marked a notable change in Dawn's character. After the second blow to her self-esteem, she didn't know what to do and was still very upset throughout Tanks for the Memories!. After this, she became more focused and regained her confidence after battling Maylene in Crossing the Battle Line!. She also began to practice in earnest for all her Contest's performances and battles. Following Zoey's advice to show off the Pokémon and not its moves, Dawn was able to pass through the first round in the Wallace Cup and eventually break her losing streak by narrowly defeating May in the final round of the competition in Strategy With a Smile!. Since this turning point, Dawn has maintained her focus and humility. After learning of the upcoming Contest in Celestic Town, Dawn became very dedicated in her training to the point of overworking her Pokémon in A Lean Mean Team Rocket Machine!. Due to her intense efforts, she managed to win the Contest in Battling The Generation Gap!. One of Dawn's combinations in that Contest gave Ash the inspiration for one of his notable tactics which he uses later on, the Counter Shield. In A Breed Stampede!, her Mamoswine began to disobey her after evolving. Despite this, she was still eager to train it well and finally gained its trust after healing it in Trials and Adulations!. However, Mamoswine still rebelled and disobeyed Dawn after it was hit by an attack and lost its temper in the semifinals of the Lilypad Contest in Dressed for Jess Success!. Even though this caused Dawn to lose the Contest, she remained calm and optimistic that her and Mamoswine would be victorious the next time. Her encounter with Mesprit, like and Ash and Brock's encounters with Azelf and Uxie respectively, proved to be fate as Team Galactic intended to capture the lake guardians to awaken Dialga and Palkia in the Spear Pillar. The lake guardians communicated telepathically with Ash, Dawn and Brock and teleported them to the Team Galactic Headquarters. With the help of Cynthia, the three Trainers foiled Team Galactic's plans and freed the lake guardians in The Battle Finale of Legend! In Double-Time Battle Training!, Dawn, Ash, and Brock watched Zoey compete in the Brussel Town Pokémon Contest. Zoey was victorious, and to celebrate Candice treated the group to an array of desserts. During their meal, Candice introduced the Tamato Berry Ice Cream Sandwich, describing it as "hot and spicy on the inside and cold on the outside", and saying that often times things that don't seem to go well together are actually the most compatible. The dessert and Candice's words inspired Dawn to create a new combination move using Ice- and Fire-type moves. After many failed attempts, she perfected her technique called Flame Ice, which involved Cyndaquil using Flame Wheel while being encased in Mamoswine's Ice Shard attack. She used this move later in the Daybreak Town Contest. She has two childhood friends that appeared in the anime, Kenny and Leona, both of whom call her Dee Dee (Japanese: ピカリ Pikari). Dawn has prevented them from telling Ash and Brock about the reason why she has this nickname, but in Yes in Dee Dee, It's Dawn!, it was revealed that the reason for the name was due to her hair glittering (ピカピカ pikapika) after being shocked by the class pets in her kindergarten, Plusle and Minun, making it appear that she had Diamond Dandruff. Due to the trauma from being teased by her entire class with the nickname, she has a certain fear of Plusle and Minun. In the final round of the Daybreak Town Pokémon Contest, Ursula battled Dawn using her Plusle and Minun and deliberately had her Pokémon shock Dawn's hair to recreate "Diamond Dandruff". Even though Dawn temporarily succumbed to her trauma, she was able to overcome her inhibition with Mamoswine's and Cyndaquil's encouragement. Ultimately, she defeated Ursula, winning her final fifth Ribbon as well as the opportunity to participate in the Sinnoh Grand Festival. She later trained in Teaching the Student Teacher! where she came up with a new tactic for the Grand Festival, the Ice Chandelier, which she managed to perfect by trial and error. Though she originally wanted to see Pachirisu use its Discharge attack while surrounded by Mamoswine's Ice Shard, she eventually decided to cover Pachirisu in a larger bubble of ice from Buneary's Ice Beam. This gave Pachirisu enough room to run, making Ice Chandelier look its best. Besides coming up with combination moves, she also acquired a new Pokémon, Togekiss. Dawn trained with Togekiss in With the Easiest of Grace! to find a way to battle with it while not ignoring its need to move gracefully, and she was eventually able to adjust her own battling style to accommodate her new Pokémon. Dawn entered the Sinnoh Grand Festival in Last Call — First Round!, using her Buneary and Cyndaquil in the Appeals Round. She progressed through the round and battled Ursula first in the next episode. With Mamoswine and Pachirisu she was able to successfully use her combination Ice Chandelier to defeat Ursula's Gabite and Flareon. In the following episode, she defeated Jessilina and progressed to the finals. Dawn would face Zoey in the final round, which fulfilled the promise the two had made with each other after their first Contest to some day meet in the last round of the Grand Festival. It was a very evenly matched and close fight between her Piplup and Togekiss and Zoey's Glameow and Gallade, but in the end Dawn lost. After the finals, she met with her mother and returned the Ribbon Johanna had given her as a good luck charm at the very start of her journey. Dawn said that she no longer needed to walk in her mother's shadow, and only needed her Pokémon's care and support to become a Top Coordinator, proving to her mother and to herself how much she had grown as a Trainer. After the competition, Zoey told Dawn that Candice was throwing a victory party for her in Snowpoint City and that Dawn was also welcome; however, Dawn declined the invitation, stating that she still wanted to support Ash in his upcoming battle at Sunyshore Gym and in the Lily of the Valley Conference. She then thanked all the Pokémon that had traveled with her through Sinnoh for their hard work and pledged to not give up her dream of being a Top Coordinator. After Ash competed in the Sinnoh League, she contemplated whether or not to go with Ash and Brock to Kanto. However, she received invitation by Paris for her Buneary to work with her for a short while as a Pokémon fashion model and decided to stay in Sinnoh. Dawn and Ash later shared a final high-five, their trademark exchange throughout the Diamond & Pearl series, before Ash and Brock left for Kanto. After Buneary's modeling work with Paris was completed, Dawn decided to spend some time at home before considering her next move on her journey to become Top Coordinator. In SS024, Dawn decided to go to the Hoenn region, since Hoenn is the region Contests originated from. However, though she was certain she would take Piplup, she did not know if she should take all of her other Pokémon with her to Hoenn or not. She sought advice from Professor Rowan, who instead sent her to help a new Trainer who was having trouble deciding what her first Pokémon would be. Dawn and Shinko ran into an Ariados's web, reminiscent of the first challenge Dawn faced with Piplup. Dawn's Cyndaquil evolved into Quilava in order to protect the two Trainers, and it was then that Dawn realized all of her Pokémon still had potential to grow with her. She decided to take all her Pokémon to Hoenn with her and soon left on her new adventure with her dream of becoming a Top Coordinator burning as bright as ever. In All for the Love of Meloetta!, it was revealed that Dawn had traveled to the Unova region and was staying in Cynthia's villa in Undella Town while the Champion was visiting Virbank City. She would return with Ash, with whom Dawn got to reunite, and Ash's new friends, Iris and Cilan, whom Dawn met for the first time. She also battled Cilan, using her Piplup against his Pansage, but because the battle was interrupted, no winner was identified. She became a good friend of Iris when they traveled to the Onix Island in Expedition to Onix Island! and was surprised by the unfamiliar Pokémon native to the Unova region, such as Foongus. Before coming to Undella Town, Dawn had visited Nimbasa City where she watched a Pokémon Musical and one of Elesa's fashion shows. She also revealed that she would enter the Pokémon World Tournament Junior Cup. She would later make it to the second round before her Mamoswine was defeated by Iris's Dragonite, despite the fact that Dragonite still wasn't listening to Iris's orders. Later, in Goodbye, Junior Cup - Hello Adventure!, she met Cameron, along with Ash, Iris and Cilan. When they arrived at Cynthia's villa in Undella Town, she announced her intention to head to Johto to compete in the Wallace Cup being held there. After battling Ash, using her Quilava against Ash's Pikachu, and saying their farewells, she and Piplup boarded the flight to Blackthorn City. Dawn later appeared during a flashback in The Dream Continues! GOALS/MISSION: To be a Top Pokemon Coordinator just like her mother. She also has a goal to protect any and all innocents that the Galactic Guardians come across. ALLIES (Optional): Sailor Guardians and the other Allies helping out. ENEMIES (Optional): Team Rocket, Team Aqua, Team Magma, Team Galactic, Team Plasma/Neo Plasma, Team Flare, and whoever the current enemy is. JEWELLERY (Optional): Normal Sailor Guardian Jewelry for Level three. Transformation Phrase: Eris Crystal Power Make Up! LIST PHYSICAL WEAKNESSES: Only uses her Pokemon in her human form. Fire/Wind and Water/Ice Based Magic Attacks. ATTITUDE TOWARDS OTHERS: Unlike many of the rival characters presented in the series, Zoey is very friendly with Dawn. After their first Contest, the two promised to meet in the finals of the Grand Festival. She proved numerous times that she cared about Dawn and wanted to help her grow as a Coordinator. By helping Dawn become more skilled, the two were able to strengthen their friendship and ensure that they would fulfill their promise of battling each other for the title of Top Coordinator. There are numerous instances of Zoey motivating Dawn. For example, it was revealed in Tag! We're It...! that Zoey had suggested to Ash that he should enter Dawn in the Hearthome City Tag Battle Competition to give her a confidence boost after not making it into the second round of the Hearthome Contest. Also, in Team Shocker!, she was seen watching the Solaceon Town Contest from a Pokémon Center. After seeing Dawn failing to pass the appeals stage, she decided to meet her and tell her where she was going wrong. Zoey met up with Dawn at the end of the episode and told her that she had made her appeal too flashy, forgetting that the Pokémon was supposed to be attraction. Once again, Zoey went out of her way to help Dawn become more skilled. Zoey is very loyal to her friends but has no problem giving them tough criticism when the time calls for it. However if one of her friends is being mistreated, she wastes no time sticking up for them. Such examples include her sticking up for Dawn when she was being made fun of by Jessilina in A Stand-Up Sit-Down!. Despite having a sprained ankle, she still battled in Dawn's defense. She also defended Ash after she felt Paul was being rude to him in A Pyramiding Rage!. She initially had harsh opinions of people who competed in both Contests and Gym battles, saying they needed to make up their minds. This is seen in her reactions to Ash in Arrival of a Rival! and Nando in Dawn's Early Night!. For that she apologized to Ash for her behavior in Staging a Heroes' Welcome! after realizing that it was good to learn from both types of Trainers. It was revealed in Classroom Training! that the reason for this trait in her character was that while she wanted to be a Top Coordinator, Candice wanted to be a Champion Trainer. They promised each other to follow their goals and as such Zoey looked down on people who did both since she thought they weren't taking them seriously. Zoey's tough demeanor suggests that she is a tomboy. This is further seen in her short haircut and her choice in Contest outfits, which are stylized suits rather than dresses. PHYSICAL DESCRIPTION: In Ashley/Eternal Sailor Solaris and Misty/Sailor Terra's Profiles respectively. HOME PLANET/COUNTRY (Optional): Snowpoint City, Sinnoh, Pokemon World. PAST HISTORY: Zoey was first seen in Mounting a Coordinator Assault!, where she quickly made friends with Dawn after returning the necklace Dawn had misplaced. At that point Zoey had already competed in three Contests and won one. She was the first contestant to appeal in the Jubilife City Pokémon Contest, and the presentation of her Misdreavus was enough to take her to the Battle Round. In the following episode, she defeated Ash, Dawn, and Jessilina with her Glameow, winning the Jubilife Contest and earning her second Ribbon. Later in Getting the Pre-Contest Titters! it was revealed that Zoey's first Ribbon had been won in a battle against Kenny's Prinplup. She has a Contest Pass for the Sinnoh region. In Buizel Your Way Out Of This! Zoey ran into Dawn and her friends, who were fishing in a lake on the way to Hearthome City. She told them that she had lost her last Contest and was taking a break. After failing to capture a Buizel, Zoey said that she would continue fishing at the lake to try to capture a Water-type Pokémon. In A Stand-Up Sit-Down!, Zoey sprained her ankle and could not make the walk back to her camp site. Fortunately, Dawn and her friends were able to help her up and took her there. Upon arriving, Zoey introduced the group her Shellos, which was captured in the same lake Dawn had caught Buizel. She also showed Dawn a video of a Double Performance, and shared that the upcoming Hearthome City Contest would follow the rule. When Jessilina appeared and challenged Dawn to a battle, Zoey decided to fight instead. She was able to defeat Jessilina using beautiful and effective combinations. In Dawn's Early Night!, Zoey met Dawn once more and also met Nando for the first time. When Nando revealed his decision to participate in both Contests and Gym battles, Zoey became angry and said he needed to make up his mind. Zoey made it to the finals of the Hearthome Contest but lost. She was not only upset about her loss, but also angry that she was not able to beat someone who was not "fully dedicated" to Contests in her eyes. Zoey was largely responsible for the trade of Ash's Aipom and Dawn's Buizel. In Arrival of a Rival!, she first suggested that Ash should give his Aipom to Dawn. In Throwing the Track Switch, she brought it up again, but this time she suggested a trade after she saw how Buizel had more of a love for battling rather than Contests. Ash and Dawn eventually agreed to it and traded their Pokémon. Zoey reappeared in Staging a Heroes' Welcome! to compete in the Wallace Cup. It was revealed that she had captured a Finneon, and the wonderful appeal of the Wing Fish Pokémon took her to the battle stage. In Strategy with a Smile!, she lost to May in the semifinals of the event. Zoey appeared again in Classroom Training!, where she welcomed Dawn and her friends to her hometown, Snowpoint City. She was showing the town to them when Candice, the Snowpoint Gym Leader, came up and joined them. It was revealed that Candice is a childhood friend of Zoey and that they went to the same school. Because of this, Zoey often calls her "Miss Senior". She also appeared in Sliding Into Seventh!, watching Ash's Gym battle with Candice, and again in A Pyramiding Rage!, where she watched Paul's battle against Brandon. She left at the end of the episode with Candice. Zoey's next appearance was in Double-Time Battle Training!, where she was shown winning her fifth and final Ribbon required for the Grand Festival. She, along with Candice, helped Dawn train for the Daybreak Contest and the two had a Double Battle with Zoey winning. In Yes in Dee Dee, It's Dawn!, she and Candice were seen watching Dawn's performance on TV from Snowpoint City. Zoey entered the Sinnoh Grand Festival in Last Call — First Round!, where it was revealed that her Shellos and Finneon had evolved into Gastrodon and Lumineon, respectively. Using these two Pokémon, she managed to pass the Performance Stage by making use of Gastrodon and Lumineon's Water-type attacks in the Contest Hall's pool. In the next episode, she won her first battle at the event, advancing to the Top 16. In Coming Full-Festival Circle!, she battled Nando in the semi finals with her Mismagius and Leafeon and managed to win the match. In A Grand Fight for Winning!, she found herself up against Dawn in the final round, fulfilling the promise they had made to one day meet in the finals of the Grand Festival. The two had a hard-fought battle, with Zoey's Glameow and Gallade against Dawn's Piplup and Togekiss. It was clear that the battle could go either way, but when the time ran out, Zoey won by a few points. Having won the Grand Festival, she was awarded the Ribbon Cup as well as the title of Top Coordinator. After the competition, she told Dawn that she was going back to Snowpoint City, where Candice was waiting for her with a party to celebrate her victory. She invited Dawn to the party, but Dawn refused saying that she wanted to cheer for Ash in the Sinnoh League. Zoey then said goodbye and left. She made a cameo appearance in Zoroark: Master of Illusions. She and her Glameow were shown taking shelter from the rain. GOALS/MISSION: To Be a top Pokemon coordinator and to help her fellow Galactic Guardians and Heroes protect Juban. OCCUPATION: Pokemon Trainer, Opelucid City Gym Leader, Unova League Champion, Pokemon World Sailor Guardian. ALLIES (Optional): Pokemon World Sailor Guardians, and other allies. ENEMIES (Optional): Team Rocket, Team Aqua, Team Magma, Team Galactic, Team Plasma/Neo Plasma, Team Flare, and Current threat. HAIR LENGTH (Optional): just past waist length. Held up in three ponytails that makes her hair look like a palm tree. JEWELLERY (Optional): Standard Sailor Guardian jewelry. HAIR LENGTH (Optional): Just below waist-length held up in three ponytails that makes it appear she has a palm tree on her head. WEAPONS/ITEMS/TALISMANS: Crystal Transformation Wand and Portal Com Device. LIST PHYSICAL ATTACKS AND EFFECTS: None in human form, she just uses her Pokemon. Level 1: Dragon Claw(Shoots energy that forms into Claws and strike the enemy without physical contact. Transformation Phrase: Haumea Crystal Power Make Up! LIST MAGICAL WEAKNESSES: Ice Type, Dragon Type, and Fairy Type magical attacks. ATTITUDE TOWARDS OTHERS: Iris is said to be a wild girl who likes to swing on vines and eat berries. Her Pokémon friend Axew travels with her in her hair instead of inside a Poké Ball. She seems to be very hyper on occasions such as climbing up trees very quickly. Iris is very adventurous and bold, often times being the first to suggest something and not being afraid to speak her mind. She is shown to be a quick thinker, such as seen in A Sandile Gusher of Change! when she was able to quickly save Ash from falling into boiling hot water when he lost his grip. This becomes a running theme and is again shown in Here Comes the Trubbish Squad! and Minccino-Neat and Tidy! where she is quickly able to evade oncoming dangers when Ash and Cilan can't. She is very in tune with nature and claims to have a "sixth sense" and follows her instincts often. Despite this she also seems to have a poor sense of direction, occasionally getting the group lost. She was also a little shy and nervous at times towards others, as seen by her evasive and distinct relationship towards Ash after their first meeting. After their initial encounter Iris would occasionally leave Ash's company for a while before unexpectedly reappearing later, usually surprising Ash in the process. She would continue to follow Ash and this pattern would continue until she was formally asked by him and Cilan to join them on their journey. Also, she wasn't entirely trusting of Ash when it came to the safety of her Pokémon during battles and often kept secrets from him and Cilan. However, as their time together expanded, she slowly began to open up and trust the two of them in battles as well as revealing her dreams and ambitions. She seems to get along easier with Pokémon, often preferring their company. This was especially true in the past, where her only real friends (besides Shannon) were the Pokémon that lived nearby. This is again made apparent during her time at Opelucid City's academy, where she had a tough time making friends with her classmates. Iris is an experienced Trainer and has been in many battles in the past. She has been portrayed as a sort of prodigy in the Village of Dragons, and while there she had built up a 99-win streak with her Excadrill before losing to Dragon Master Drayden. These experiences seem to have affected her, as she has a high view of herself and her abilities. Perhaps because of this, Iris typically seems to think of Ash as a little kid and often treats him like a rookie Trainer when he makes simple mistakes, despite that he too has had many adventures and accomplishments in the past. She is also shown to be slightly hypocritical since despite how commonly she refers to Ash's mistakes when she is usually known to make similar mistakes as well. However this critical view of Ash seems to stem from their first meeting, whereupon Ash not only mistook her for her Pokémon Axew, but attempted to try to catch one without battling it first. Despite this, she is not above cheering him on during Gym and normal Trainer battles. Also, her calling Ash a kid has shifted from a critical tone to harmless teasing between the two of them. Iris adores most Pokémon, often hugging them upon first meeting. On some occasions this is shown to be a bit invasive, which normally causes the Pokémon to attack her (such as with Ash's Pikachu). She has a particularly strong understanding of Dragon types and tends to be very excitable around them in particular, not showing fear even against a rampaging Druddigon. Because of this strong passion, she aims to become a Dragon Master like so many others from her hometown. The one type she doesn't like is the Ice type, due to the fact that Ice-type attacks are super effective against Dragon-type Pokémon. Trip mentions that her fear of Ice types based on that is irrational, as Dragon-type moves are super effective against Dragon-type Pokémon as well. Iris shrugged this off, however, and mentions that she also doesn't like the cold. Iris is willing to overcome this fear, however, as shown when challenged by Georgia's Beartic and Dawn's Mamoswine. NAME OF ANIMAL/CREATURE FRIEND: Orion the Pikachu and Andromeda the Azumarril as well as her Pokemon. PAST HISTORY: Iris was born and raised in the Village of Dragons and would spend her time as a little girl playing with the wild Pokémon that lived in the forest just outside the village. She had learned to be quite skilled in tree climbing, as well as tending and caring to different Pokémon. One day she met a wild Drilbur that had injured a Patrat and had stolen its food. Angered, she sought justice for what the Drilbur had done and challenged him. After countless defeats, she finally managed to outmaneuver the Mole Pokémon and get him caught in some vines dangling just over a cliff. After coming to his rescue, the two became good friends and began training together. After many victories against different types of Trainers, Drilbur evolved into an Excadrill. The two then got the opportunity to meet Drayden, a Dragon Master, who praised Iris for her skill in battle. When he asked who was teaching her how to battle she responded that she was teaching herself with the help of the Pokémon she had befriended in the village. Brimming with confidence, she then challenged Drayden to a battle. However, Drayden's Haxorus was more powerful than Iris had anticipated and Excadrill was easily defeated. After suffering defeat and becoming distrustful of his Trainer, Excadrill then closed himself off to Iris, rarely opening up, and never showing emotion. Not long after those events, Iris left for Opelucid City to attend school at the Opelucid Academy. When she was not in school, she stayed with Martha in a dorm. These were very difficult times for Iris, though. She struggled in school, and failed to make any friends or interact with any of the other students at the academy. Iris also didn't feel compatible with the urban city life. She tried to take her mind off the city by climbing the radio tower for a view of the mountains, but always got into trouble with Officer Jenny. All of these hardships in the city made her homesick, so she often spent her spare time writing to her friend Shannon. Eventually, after losing a battle at school, Iris could not stand this life anymore and dropped out. Leaving her partner Pokémon, Fraxure, behind, Iris returned to the Village of Dragons. Years passed, and Iris was called upon by the village elder. She was to start a journey with a newly hatched Axew and raise him to become a full-fledged Haxorus. She accepted this trial, and set off on her journey, hoping to someday become a Dragon Master herself. Some time after these events, she witnessed a storm caused by Zekrom during the events of In The Shadow of Zekrom!. She missed actually encountering the Deep Black Pokémon, and continued on her journey, eventually meeting Ash Ketchum the very next day when he accidentally tried to catch her, thinking she was a Pokémon. The two had a rocky start, often finding reasons to argue and occasionally calling each other names. However they kept each other company and Iris even stayed to watch his first Gym battle in Triple Leaders! Team Threats!. After the battle one of the Gym Leaders, Cilan, had decided to travel alongside Ash, and noted that the three of them make a good team. So Iris decided to officially become their traveling companion. In The Bloom Is on Axew! Iris decided she would begin using her new friends to help train her Axew, so she asked Cilan to battle her to help get her started. It was then that she revealed her Axew knew Dragon Rage but hadn't yet mastered how to use it. She later opened up to Cilan and Ash and told them about her hometown, and how she got Axew in the first place. After she finished her story, the group realized Axew had gone missing, and found him stuck in the horns of a Scolipede. They failed to calm the raging Pokémon, so Iris called upon her Excadrill for help. Unfortunately, Excadrill was still closing himself off from Iris, but Excadrill still took care of the Scolipede after Iris had saved Axew herself, when the Scolipede kicked him into a boulder. With everything calmed down, Cilan approached Iris and reassured her to do things at her own pace and not worry too much, and that someday Axew and Excadrill will become even more powerful and loyal to her. In A Home for Dwebble! she revealed that she knows how to make herbal remedies to heal sick Pokémon when Cilan's Pansage got hit with a rock and caught a fever. This skill became quite handy throughout her journey whenever the group was low on medication and too far from a Pokémon Center. In A Night in the Nacrene Museum! she claimed that she has an acute "sixth sense" when she felt the presence of a spirit haunting the museum. It later turned out to be a Yamask who merely wanted its mask returned to it. However, she was still sure in her abilities in Sewaddle and Burgh in Pinwheel Forest! when the group got lost in Pinwheel Forest. n A Home for Dwebble! she revealed that she knows how to make herbal remedies to heal sick Pokémon when Cilan's Pansage got hit with a rock and caught a fever. This skill became quite handy throughout her journey whenever the group was low on medication and too far from a Pokémon Center. In A Night in the Nacrene Museum! she claimed that she has an acute "sixth sense" when she felt the presence of a spirit haunting the museum. It later turned out to be a Yamask who merely wanted its mask returned to it. However, she was still sure in her abilities in Sewaddle and Burgh in Pinwheel Forest! when the group got lost in Pinwheel Forest. Her fear of the Ice type has been put to the test in some episodes, like in Caution: Icy Battle Conditions!, where she entered a cold Gym and saw her friend facing several Ice types. Some time later in order to escape a building filled with Ferroseed moss she had to command her rival's Ice-type Pokémon when her Pokémon other were unable to help. Iris said goodbye to Ash in Best Wishes Until We Meet Again! when the group arrived in Kanto. She decided to head for Johto to train with Clair at Blackthorn Gym after taking the Magnet Train with Cilan, who decided to split off from her and go to Hoenn for a fishing competition. She reappeared in SS028, where she battled Clair's Shiny Druddigon with her Dragonite but lost. During the battle, she demonstrated her ability to read Dragon Pokémon's mind. She encountered a rampaging Gible in the city and saved it from falling from a clock tower. Thus gaining its trust, she read its mind to understand the reason behind its rampaging despite failing earlier. She later caught the Gible and decided to head towards the way they saw a Rayquaza flying. During the time between where she last left Ash and Cilan and the time she was awakened as Sailor Haumea, Iris got more mature, collected all eight Unova League Badges and eventually beat Alder to become Champion of the Unova Region. She has become more mature and more focused and is still on he path to be a Dragon Master. GOALS/MISSION: To be a Dragon Master and to help out the other allies in combating threats to peace. ENEMIES (Optional): The Enemies that everyone else is fighting. COSTUME: In human form Serena is wearing a black blouse with a white folded over collar, red skirt, pink felt hat with a black bow on it. She also wears black stockings that go over the knee to the thigh. Her shoes are high-top style and have a pink Poke ball symbol on either side each shoe in the pair. LIST PHYSICAL ATTACKS AND EFFECTS: No physical attacks, she just uses her Pokemon when she is in Civilian form. Level 2: Disarming Voice- Clapping her hands together in a prayer-hands fashion an energy wave capable of taking out two opponents simultaneously. Level 3A: Dazzling Gleam- A wide range wall of light that can take out up to five opponents at once. B: Moon Blast- Most powerful attack, the sky behind Sailor Miranda turns pitch black with a pink moon hanging in the sky. The beam of light released from the visible moon is about as powerful as the Solar Sunspot attack by Eternal Solaris. Transformation Phrase: Miranda Crystal Power Make Up! LIST PHYSICAL WEAKNESSES: In Civilian Form she can't access her Pokemon Sailor Guardian Attacks and just resorts to using her Pokemon. LIST MAGICAL WEAKNESSES: Steel, Ground, and Fire Based Magical Attacks. ATTITUDE TOWARDS OTHERS: Serena/Sailor Miranda is a kind and polite girl. However, in Kalos, Where Dreams and Adventures Begin!, she was openly rebellious towards her mother. She refused to wake up when her mother ordered her to and gave a sassy response to her mother's call to watch the news. This tumultuous relationship was best demonstrated when Serena's mother made her practice Rhyhorn riding, which she had hated doing. While she genuinely cares for her Fennekin, as well as the well-being of other Pokémon, Serena has expressed little ambition towards becoming a full time Pokémon Trainer. In Going for the Gold!, she did however attempt to capture a Corsola, which she thought was cute, but was unsuccessful due to Fennekin's type disadvantage and Fennekin's unwillingness to fight. As of yet, Serena is uncertain what paths or career to pursue in life. Although she possesses a diverse and well-rounded skill set, she is still undecided about what best suits her. Fortunately, her travels with Ash, Bonnie, and Clemont have afforded her a chance to find herself and explore her options. In Summer of Discovery! Serena began to think that not having an established goal was a problem. After losing her first official Pokémon battle at Summer Camp and seeing how passionate the Trainers around her were, Serena began seriously considering what she wanted to do with herself and her Pokémon. PHYSICAL DESCRIPTION: Descriptions are included in Ashley/Eternal Sailor Solaris' Profile and Misty/Sailor Terra's Profile. PAST HISTORY: As a young child, Serena was sent to Kanto, against her will, to attend a Pokémon Summer Camp, which was hosted by Professor Oak. One day, while at the camp, she got lost in a nearby forest and was startled by a Poliwag, falling over and hurting her knee. Then, she met Ash Ketchum, who was looking for the same Poliwag and spotted Serena. Noticing her knee injury, he pulled out a handkerchief and wrapped it around her wounded knee, saying that it is a good-luck charm and that the pain would go away. However, when Serena's knee continued to hurt, Ash told her "Don't give up till its over" and helped her up before escorting her out of the forest. Afterwards, she returned to Kalos, bringing along the handkerchief and the memory of her meeting with Ash. Serena made her first onscreen appearance in Kalos, Where Dreams and Adventures Begin!, where she was forcibly woken up by her mother's Fletchling. In Lumiose City Pursuit!, she attempted to practice Rhyhorn racing after being encouraged by her mother, a famous Rhyhorn racer herself. However, Serena's attempts at controlling her mother's Rhyhorn ended with her being sent crashing into the ground. Later that evening, Serena complained about her earlier practice leaving several scratches on her face. She sat down to watch a news report on an incident that was occurring in Lumiose City. On the screen, she saw Ash trying to calm down a rampaging Garchomp at Prism Tower and recognized Ash as a boy she had known in her childhood. The next day, while feeding Rhyhorn, Serena thought aloud that something interesting was going to happen and that it involved Ash. She began her Pokémon journey in A Battle of Aerial Mobility! when she set off to Professor Sycamore's lab in Lumiose City. Immediately upon arriving, Serena questioned the Professor about the boy on television and he confirmed that it was indeed Ash Ketchum. However, to Serena's disappointment, Ash had already left Lumiose City the previous day. Serena was then offered to choose her starter Pokémon. In A Shockingly Cheeky Friendship!, Serena chose Fennekin, received a Pokédex, and started her journey. Later that day, she continued to travel with Fennekin, but didn't want to camp out for the night after seeing some wild Venipede. She was attacked by a wild Vespiquen that she mistook for a person, only for Fennekin to scare Vespiquen away. Afterward, Serena met a Nurse Joy, who told her where to find the nearest Pokémon Center. In A Blustery Santalune Gym Battle!, she finally reached Santalune City and found Ash during his gym battle with Viola. She introduced herself to him, Clemont, and Bonnie, after returning his backpack when it was left behind at the Gym. At the end of the episode, she asks Ash if he remembers her, at which point the episode abruptly ends. In Battling on Thin Ice!, she revealed that the two of them met at the Pokémon Summer Camp when they were younger. Although Ash remembered the camp, he didn't specifically remember meeting Serena, much to her disappointment. Serena quickly regained her composure and reminded him that he once told her to never give up. Hearing these words helped Ash continue his training in order to win the rematch against Viola. During the rematch, Ash was visibly becoming overwhelmed by Viola's battling strategy, but Serena yelled at him to never give up. The inspiration that he had once given Serena was now being given to him, and these words encouraged him to continue the battle. At the end of the episode, after winning the Bug Badge, Ash asked Serena what her plans for the future were. Serena officially began traveling with Ash and his friends in Giving Chase at the Rhyhorn Race!. This was when Serena revealed why she began her journey in the first place. After seeing Ash on TV, she decided that she would begin a Pokémon journey in order to return the handkerchief he used to mend her knee injury. After she returned the handkerchief, Ash remembered their encounter and called her the "Girl With the Straw Hat." Later on, Serena helped teach Ash how to ride and race on a Rhyhorn when he expressed an interest in Rhyhorn racing. While doing so, Serena's opinion on Rhyhorn and Rhyhorn riding quickly changed when the Rhyhorn were very friendly towards her. Later, while she was helping Ash learn to ride, she called out similar words Serena's mother had yelled to her during her Rhyhorn riding lessons at home. At that moment, Serena realized that she had misjudged the sport of Rhyhorn racing and that perhaps she did not hate it as much as she thought. Serena expressed in the same episode that she did not dislike Rhyhorn racing but that she wanted to find a goal that she likes even more. The next day, Ash was captured by Team Rocket and Serena had to help rescue him. This was when Serena had her first Pokémon battle, commanding Fennekin to use Ember on the criminals. At the end of the episode, she gave Ash a pouch of cookies, saying it was her way of thanking him for all he had done for her. In Clemont's Got a Secret!, Serena learned from Clemont's father, Meyer, that Clemont is the Lumiose City Gym Leader. Although initially angry with Clemont for keeping this secret from her along with Ash, she helped take back the Gym from the malfunctioning Clembot. She battled Clemont's Magneton with her Fennekin, but it managed to avoid Fennekin's attack, forcing Pikachu and Froakie to step in and defeat it. Later, she watched Clemont battle and defeat Clembot for the control of the Lumiose Gym. In A PokéVision of Things to Come!, Serena decided to participate in PokéVision, which is similar to making PR videos. Trainers promote themselves and demonstrate their bond they share with their Pokémon by dressing up and creating a short video. After watching some sample PR videos in the Pokémon Center, Serena took to the idea of being able to make one of her own with her Fennekin. She rented a camera and began filming with Fennekin. The two of them dressed up in multiple outfits and the video featured them posing and baking together. However, during the filming of the video, Fennekin was captured by Team Rocket. Serena was able to rescue Fennekin, and in the process she remembered all that they had been through together. Her feelings of friendship were conveyed to her Pokémon, and Fennekin was able to learn Flamethrower in the battle against Team Rocket. After this event, Serena was able to finish her filming and was proud of her final product. In A Battle by Any Other Name!, Serena participated in a Poké Puff competition, but she did not emerge victorious. Before the event, she met another competitor named Miette. The two of them compared their Poké Puffs to see whose were superior, which led to a spark of rivalry between them. After comparing the two Poké Puffs, the group realized that Serena's Poké Puffs were more suited for human's tastes than Pokémon's. This was part of the reason that Serena was not able to win the Poké Puff competition. Serena had her first official Pokémon battle in Summer of Discovery! against Shauna. Shauna and her friends, Tierno and Trevor, had seen the PokéVision video that Serena filmed in Lumiose City and recognized her from it. Serena accepted Shauna's challenge, and alongside Fennekin she faced off against Shauna and her Bulbasaur. Unfortunately, Serena was unable to win despite having a type advantage. Serena talked with Shauna throughout the episode, and learned that Shauna was aiming to be someone who could put on performances with Pokémon. Her conversations with Shauna were a catalyst in helping her realize that she was the only one of her friends that didn't have a set goal. At the end of the episode, Serena sat alone brushing Fennekin's tail and wondering what her dream was. GOALS/MISSION: To be a top Pokemon Performer while still doing Rhyhorn Racing from time to time. From left to right: Ashley Satoko Ketchum, Misty Kasumi Waterflower, and Darcy Saika Shuu. From left to right: Duplica Imite, Casey Nanako, and May Haruka Maple. Hi everyone! Welcome to ✯Realms✯of✯Eternity✯ Chat!!!! Feel free to do some Role-playing in here if you wish to, just not a ton of Role-playing!